Munich-based bus provider to offer long-distance train services to compete with German Railways- The Bahn. Expansion is expected. MUNICH- “Actually, for us is the train like a big bus.” When the CEO of FlixBus Jochen Engert mentioned this in an interview with the Munich-based Süddeutsche Zeitung, the first thing that came to mind is how to get passengers from point a to point b on the tracks without getting nickeled and dimed by the German Railways- The Bahn. When FlixBus was established in 2011, its primary goal was to provide travelers with an affordable and painless way to get them where they want to be, while on the highway. Today’s FlixBus covers 80% of all bus markets in Germany, providing 120,000 daily connections to over 1,000 destinations in 20 countries, from Bucharest to Bordeaux, Kiel to Milan and from Luxembourg to Prague, with stops big cities like Berlin, Hanover and Frankfurt, as well as smaller ones like Jena, Bamberg and Wolfsburg, just to name a few. While FlixBus is making its American debut this April, providing residents along the West Coast with the signature modern green double-decker busses that Europeans are accustomed to, the company is making a splash on the railways. In a railroad market where the Bahn predominates long-distance rail services with its white, black and red ICE-trains and InterCity services, as well as its red and white Regio-trains, passengers are going to see the light green trains, known as FlixTrains competing beginning in April. At a cost of 10 Euros per single ticket, passengers can travel on the Flixbus going up to 200 km/h (125 mph)- equivalent to most IC-trains and the older ICE-trains between Berlin and Stuttgart as well as between Hamburg and Cologne. The plan is to have 28 stops available for up to four trains traveling in each direction per day on both routes. The routes are somewhat familiar for they had been used by other private train services. Locomore was the first to provide daily services from Berlin to Stuttgart via Wolfsburg, Fulda and Frankfurt/Main. Starting in December 2016 until its insolvency in May 2017, Locomore operated one train in each direction, stopping at 18 stations. It had planned new routes between Berlin and Binz, Berlin-Hanover-Cologne-Bonn and Frankfurt-Augsburg-Berlin. In August 2017, the Czech-based Leo-Express and FlixBus acquired Locomore’s assets and have started painting the Locomore trains green to show ownership of the services. The trains will be run under FlixTrain by April. The Hamburg-Cologne line used to be an independent entity known as HBX, where trains stopped in Osnabrück, Düsseldorf and Essen. The HBX was acquired by FlixBus and will start operating under FlixTrain at the end of March. While this FlixTrain experiment will be done gradually (starting with two trains in each direction per day), the plan is if successful, the Flixtrain will provide more trains on these two routes and expand to include more cities in the near future. The caveat behind this expansion is twofold. Firstly, despite its generous offers of: long distance trains at 200 kph at a price equivalent to a trip by FlixBus, coaches with an eatery, children’s playground and air conditioned seating, free Wifi and films and ordering tickets online or with an app, it will be difficult to lure passengers away from their loyal Bahn or car because of the advantages both has, plus private trains have as many problems with train delays and technical issues as other train services, both private and public. Secondly the provider would have to choose carefully which cities to expand their services to for many reasons: 1. The train engines would need to be compatible with the track as some areas are not electrified, 2. They will need to be aware of the other trains that serve the cities and their customers and 3. The train’s availability on a daily basis may present some problems as private trains tend to have a difficult time sharing the track with the competitors. Saale- Route (Leipzig-Jena-Saalfeld-Bamberg-Nuremberg)- Especially residents in Jena, Saalfeld, Lichtenfels and Naumburg have suffered a great deal since the ICE-train was rerouted onto the new Berlin-Leipzig/Halle-Erfurt-Nuremberg-Munich line in December 2017 as they had to face taking Regio-trains to Erfurt or Leipzig just to catch the next available long-distance train. Despite efforts to have faster Regio-Express trains available by December 2018, it may not be enough for many who have already invested a year’s salary in a new car. With FlixTrain, it could serve as a medium to long-term fix for people going to either Berlin or Munich without changing trains. Dresden-Hof-Nuremberg Magistrate- It has been 16 years since the last ICE-train has served this route and plans to electrify the line has been really slow-going- the requirement for having a long-distance train. Yet if diesel locomotives are available this would be a temporary fix until the electrification is finished. For people in Bayreuth, Hof, Zwickau, Glauchau and Chemnitz, having a FlixTrain would be a blessing as they could arrive at their destinations in time that is much quicker than with the motorway, which runs parallel but is beset with traffic jams caused by accidents and narrow four-lanes. Currently MRB-Rail operates the Hof-Dresden portion and the Bahn the rest, both as RegioTrains. MDV Route- Consisting of the lines Leipzig-Naumburg-Weimar-Erfurt, Chemnitz-Glauchau-Gera-Jena-Weimar-Erfurt and Erfurt-Kassel-Dortmund-Cologne, the route has similar problems with electrification as the Dresden-Hof-Nuremberg Magistrate but between Weimar and Glauchau. Still the route has potential for attracting passengers who have been forced to deal with mostly RegioTrains and a pair of InterCity trains per day. Schleswig-Holstein-Express- Connecting Hamburg with Flensburg via Rendsburg, this route has rarely seen Fernverkehr since the Bahn pulled its ICE-trains off the tracks three years ago and Germany and Denmark allowed the inter-rail agreement to run out at the end of 2016. The trains have operated regionally but people would benefit more with long-distance rail services between Hamburg and Denmark via Flensburg with the option of extending southward. As an alternative one could route a train through Kiel before entering Flensburg, yet a pair of bridges will need replacement and the tracks need to be added. FlixBus already has bus connections in Scandanavia and could benefit with a pair of FlixTrain services going through Denmark. North Sea Route: As the North Sea region in Schleswig-Holstein is very popular, especially during the summer, this route between Hamburg and Sylt via Husum would be beneficial for a FlixTrain. Originally, this route was operated by Nord-Ostsee Bahn Rail before it went bankrupt in 2014 and was taken over by the Bahn. Yet many customers are dissatisfied with the old-timer trains and the service of the Regio-Trains. Plus only a handful of IC-trains connect Sylt with Frankfurt on a daily basis. Would you prefer FlixTrain over the Bahn (or other rail services) if it was to come to your town? Which rail routes, aside from the five mentioned ones, would you like to see FlixTrain using and why? New High-Speed Line Opens after 25 Years of Planning and Construction. 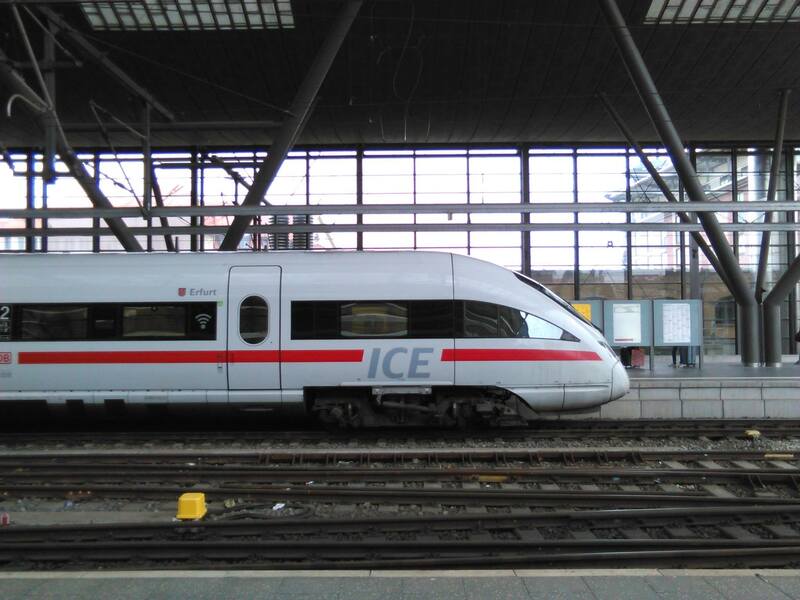 Erfurt and Leipzig to become ICE Cities. 80 ICE trains expected in Erfurt daily. BERLIN/ MUNICH/LEIPZIG/ERFURT/COBURG/JENA- It took the signing of former (now late) German Chancellor Helmut Kohl’s signature to allow for the project to begin- 25 years ago. That in itself was as historic as US President Dwight D. Eisenhowers signature in 1956 to launch the US Interstate Highway System. It took 25 years, from the time of its signature until the time of its completion, costing over 12 billion Euros, and resulting in 37 bridges- including the 8.6 kilometer long Elster-Saale Viaduct near Halle (the longest in Germany)- two dozen tunnels and the complete makeover of five different stations- the main ones of which are in Erfurt and Leipzig. And now, Frankenstein has come to life! 🙂 The new ICE line between Berlin and Munich has opened. German Chancellor Angela Merkel, Richard Lutz (CEO of the Deutsche Bahn), German Transportation Minister Christian Schmidt as well as the primeministers of the states of Bavaria, Saxony, Saxony-Anhalt and Thuringia plus many celebrities were on hand to open the ICE-Line as a pair of ICE-3 trains passed through the new stops of Nuremberg, Erfurt, and Leipzig-Halle as they started from Munich and ended in Berlin. The ceremony happened today with the grand ceremony taking place at Berlin Central Station. 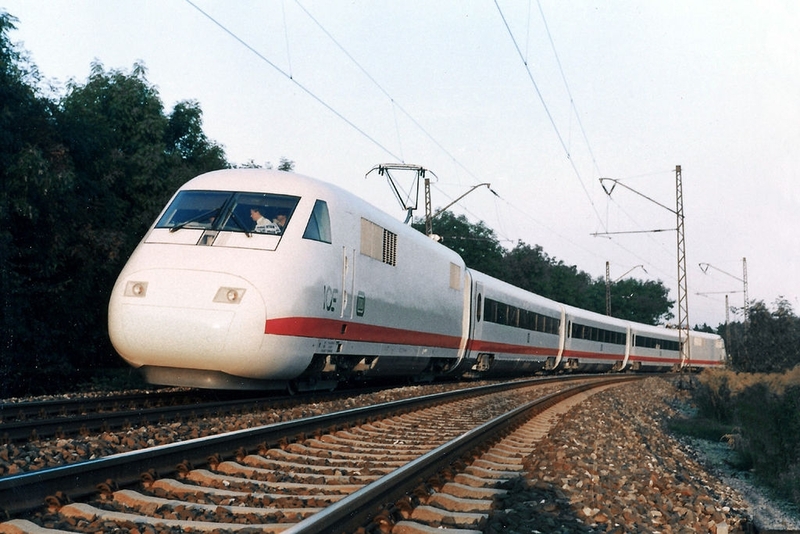 With that new line, not only will the cities of Leipzig and Halle will profit from the long-distance trains stopping there on a daily basis, but also the ICE City Erfurt in central Thuringia, where as many as 80 ICE-trains will stop to board people on a daily basis travelling on the N-S axis between Berlin and Munich via Nuremberg, as well as between Dresden and Frankfurt via Leipzig on the W-E axis. Along the N-S axis, one can travel between the German and Bavarian capitals in just over four hours, two less than its current travel. Between Dresden and Frankfurt, it is expected that trains passing through Erfurt will need only three hours instead of the normal five. Planned is the new ICE-Sprinter connecting Berlin with Munich with a stop only in Erfurt. That stretch will take only under four hours. Another is planned for Halle-Munich and Nuremberg-Berlin, each of which will take less than three hours. Prior to the opening of the new ICE line, a person needed over six hours along the line that went through Naumburg, Jena, Saalfeld, Lichtenfels and Bamberg. That line will be relegated to Regio-trains which will be a total inconvenience to people living in Jena and points to the east. With that will mark the end of long-distance service for the first time in over 115 years. The state of Thuringia is working with the Deutsche Bahn to provide better access, which includes a new long-distance InterCity station in Jena to be opened in 2024. (More on that here). The ICE line will mean more development for Erfurt, as the ICE-City plans to build a new convention center and series of hotels and restaurants around the station to better accommodate customers and visitors to Erfurt. The new line will mark the debut of the newest ICE train, the ICE 4, which will travel alongside the ICE 3 from Munich to Berlin. 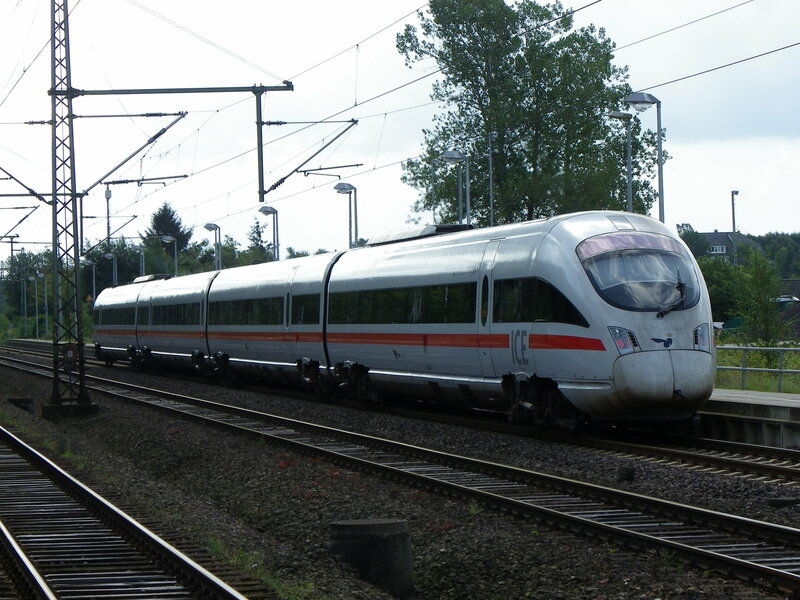 The ICE-T will continue to serve between Dresden and Leipzig (for more on the train types, click here). At the same time, the older two models will be phased out bit-by-bit after having travelled tens of thousands of kilometers for over 25 years. The newest models can travel over 300 km/h and has compartments for bikes, available upon reservation. While the new line, scheduled to be part of the train plan come 10 December, will compete with the airlines and automobile in terms of travel time, there is a catch that many people do not like: From Berlin to Munich, one will have to pay at least 125 Euros one-way, 40 Euros more than with the present route. 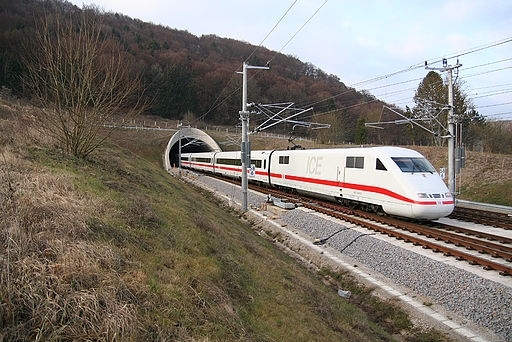 Despite having more Regio-trains providing access to Erfurt and Leipzig/Halle from Jena and elsewhere, it will become an inconvenience when it comes to changing trains and having to rush to the nearest ICE train with very little time left. Still it is up to the Bahn to decide how to adjust to the situation as it plans to allow for time for people to adjust and get used to the new line. After a year or so, it will make some adjustments to better serve customers who are out of reach of the new line. By then, one will find out whether the billions spent on this project was worth its salt. A Women’s Only Train Compartment? Then the light bulb goes on! Having a women’s compartment on the train is a great idea, but is it really worth it and why? This experiment is being attempted by the Mitteldeutsche Regiobahn (MRB), where such a compartment mentioned in this situation is being reserved for women and children. Unless granted, men are not allowed to sit in the compartment reserved for this group. The experiment is intended to make the female passengers feel safer while traveling, according to a statement by the MRB. Other countries have similar coaches reserved only for women, such as Japan, Indonesia, Egypt, Brazil, Mexico and India, while Great Britain is experimenting with reserving areas of the public transport trains, street cars and busses for women. 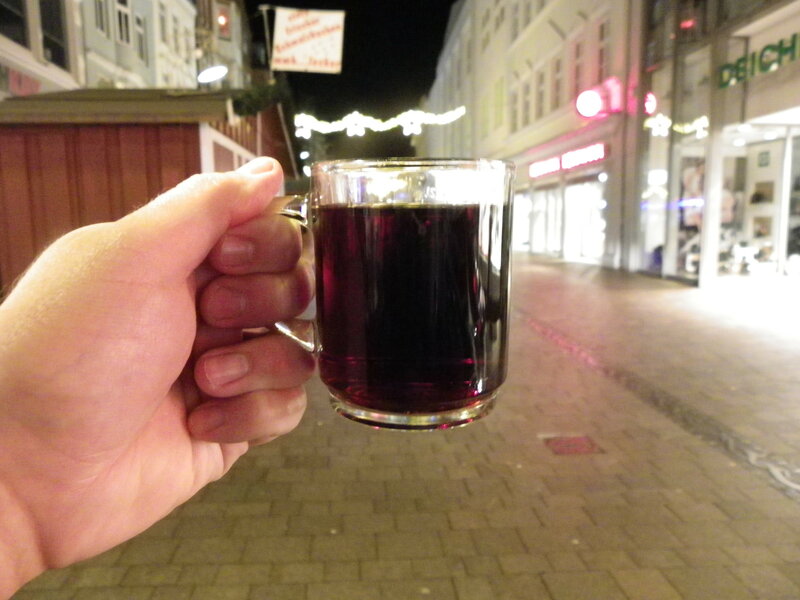 While the goal is to protect women from being sexually harassed or assaulted, this measure presented by MRB has nothing to do with that, nor the incident on New Year’s Eve in Cologne, where over 1000 reports of women being sexually assaulted were made. Only one person has been charged. The attacks have sparked a backlash against refugees coming to Germany, as many assailants originated from the Middle East and Africa, according to the reports. Many refugees have been harassed and assaulted by right-wing extremists, their places of lodging were set ablaze, and the right populist party Alternative für Deutschland has been gaining success and votes as their anti-immigration policies have gained enormous support and traction. Yet the idea of having a women’s only compartment on trains have sparked emotional outrage between those who are for such measures and those who consider it absurd. The article and question for the forum posted on many facebook pages including that of the Files’ have been met with mixed results. Proponents of such a measure believe that it would serve as place of refuge against people who are potential predators, giving them a warning of not to cross into their territory unless (….). Some who have supported this either experienced such incidents in person or know someone who has encountered such a person. Opponents claim that by designating areas solely for women would be going back to the age of segregation, where every facility was divided up between White people and Black people only, resulting in the likes of Rosa Parks breaking the barriers on the bus and Martin Luther King Jr. having a dream in his historical speech in Washington in 1963. Some people responded sarcastically by proposing everyone wearing burkas and having a men’s only cars, which had existed in Saudi Arabia until just recently. Others claim that such an arrangement is not enough and that more police protection and stiffer penalties are needed to keep predators and stalkers away. This includes longer sentences in prison and heavier fines. The German government has introduced tough measures to deport refugees committing such crimes, yet psychological counseling is patchy and only a fraction of the population, both victim and perpetrator alike, receive treatment, regardless of country of origin. Inspite of the opinions from all sides, the question will be whether this new experiment will be the norm for all rail services in the future, or if it will become a fad and other measures to protect people regardless of gender and ethnic background. Right now, the experiment is being tried on the trains traveling between Leipzig and Chemnitz along the Black-and-Blue Line, which connects the two with Halle and Magdeburg, each city having a storied history with their soccer teams and rivalries. If successful, it is expected to be expanded to other lines, and eventually to other train services, including the Bahn. 1. Do you think having a women and children’s coach in the train is appropriate? Why or why not? Make a list of advantages and disadvantages before answering, apart from the ones mentioned in the article. 2. Does your country have similar arrangements to the one being performed by the MRB? How does it work? 3. What measures does your home country have to protect women from predators and stalkers? Have they worked to date?